Just a quick heads up to let you know that Wild Orchid Crafts Spring/Summer Sale starts today. 10% off all products. Only while stocks last, so be quick to get your spring/summer bargain. There are also special offers and clearance items up for grabs with some canny discounts! Our baby doll Ava came to visit with her daddy yesterday. She was in top form, giggling, smiling and cooing the whole time. She’s 3 months old already. Man! Where does the time go? That delish Pink Paislee paper pack was still sat on my desk begging to be used again, so very pretty. The Silver Colour Butterfly was heat embossed with shabby white embossing powder. 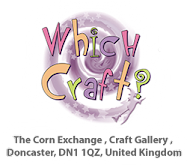 This week’s candy is a £10 voucher from Wild Orchid Crafts, the draw closes on Sunday evening. Oh my goodness, I have been without the internet for a few days and I have been tearing my hair out. I love my iphone, don’t get me wrong but to try and use that exclusively instead of having my computer and wifi – gah! It’s driven me nuts! Still, I’m back online again so will be able to get some stuff posted. I’m late for the Saturated Canary challenge, but better late than never. This week’s challenge is All things bright and beautiful with the option to follow a colour board, well me being me …. I sort of more or less(ish) followed it haha. I have used one of the new rubber stamps, this is Fairy Wishes – isn’t she just a doll! And of course coloured with the usual copics and pencils. Oh and a touch of Glamour Dust for a bit of added bling. The flowers are from Wild Orchid Crafts, and I have used small gardenia, cosmos daisies, 15mm roses. Happy Tuesday to everyone!! This week is the new release at Whimsy Stamps and today is the Sneak Peek Blog Hop Day. Things are a little different this month since we will be showcasing the new release products for three days rather than for an entire week. Wednesday will be the Release Day Blog Hop and Thursday will be the Review Day Blog Hop. 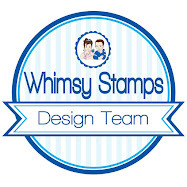 All of the new products will be available for you in the Whimsy Stamps shop tomorrow (Wednesday). There will be a prize of TWO new release stamps for each of the blog hops for some lucky commenter. Each hop will last for 24 hours so be sure to leave a comment on each of the blogs listed on the Whimsy Inspiration Blog for each of the days. The prize locations are secret so hop along and enjoy seeing all of the creations made with the new Whimsy products. Winners will be announced on the Whimsy Inspiration Blog on Friday. For my card today I have used the Wee Flower Fairies for Whimsy Stamps, aren’t they just the sweetest little dolls!! I have also used my most favourite border die ever .. Lace Doily border die. The paper is DCWV Preppy Princess, the flowers and organza ribbon are from Wild Orchid Crafts – flowers used are Trellis Rose, 20mm roses, 15mm roses, 10mm roses. It’s Wild Orchid Challenge day and this time we have to use Twine (I LOVE nice and easy challenges!!). I dug out my Sugar Nellies and ended up spending ages deciding which one to use, and I now have a pile of rubber on my desk shouting to be used as a result haha. This is Hazel and Nutty. Love these stamps, and wish Sugar Nellie would bring out more. They are so quick and easy to colour and are just so super cute too. I have used the new Forever Friends Kraft Notes paper pad – you will see a lot of this on my blog in the coming weeks, it’s flipping gorgeous!! Coloured with the usual copics and pencils, with Glamour Dust added to the wings for a bit o’ bling. Wild Orchid Crafts flowers used are cottage rose, fabric daisies, 20mm roses, sweetheart blossoms, lilies and the new resin mixed colour flower embellishments. The Divine Twine is also from WOC. The Everyday Button sentiment and cordinating button die are by Whimsy Stamps. Back tomorrow with a card for the New Whimsy Stamps release. In fact …. don’t keel over with shock ….. I have FIVE cards to post this week. My poor Kindle is feeling VERY neglected haha. The winner of that fab Whimsy Stamps border die is …. Congratulations Nina-Jayne, please email me your address so I can get this in the mail to you this week. Please put WC19/04 in the subject line. This week I am giving away one of my favourite dies (I use mine so much I am afraid I am going to wear it out!!) It’s the Whimsy Stamps Lace Border Die. As always entry is open to all, and I will post worldwide. Yep, a card at last! I have been so ill, and still am but I figure if I don’t get myself motivated I will still be sat here feeling sorry for myself next week! So I managed to talk myself into getting creative this afternoon, and here’s a Sarah Kay card for my efforts. I have used one of the new Noor! Design Floral Flourishes dies. That birdhouse is just too cute. I have also used the gorgeous Square Frame from Noor! Design. The stamp is called Spring is Back, and has been coloured with copics and pencils. The papers are Prima (a mix of Fairy Belle and Divine). The flowers are from Wild Orchid Crafts, I have used 15mm roses, 20mm roses, sweetheart blossoms, chrysanthemum and hellebore. Apologies I have been MIA, I have had this flu and man! I don’t think I have ever felt this poorly. I didn’t even turn the computer on over the weekend, now that’s a first! Congratulations Anne, please email me your address so I can post your prize off to you. Please put WOC taster candy in the subject line. The usual copics and pencils were used to colour her up. And I used some of the delish new flowers in stock at Wild Orchid Crafts, the Taupe Cottage Roses are new – yum! The other flowers used are aster daisies, 20mm roses, 15mm roses. The papers are Pion Design – LOVE these! And the doily die is a Cheery Lynn Spring Flower Burst die. The candy will run till Thursday and I will draw a winner then. Entry is open to all and I will post worldwide, as always. Just a quick heads up for Wild Orchid Crafts fans ….. the new mixed colour Wild Roses and Chrysanthemums are now in stock, and they have also updated the website with lots of back in stock products. I am anxiously waiting for a parcel to arrive next week and in there is a taster give away, so keep your eyes peeled! I have six winners to announce and a big thank you to Paula at Which Craft UK for her generosity. So if the following peeps could email me their addresses I will forward them on so you can get your Vintage Book & Box Templates next week. I had a play last night and inked up one of my beloved Sarah Kay stamps, this one is Puppy Love. 2 tone burgundy Wild Roses, 2 Tone burgundy Cosmos Flowers, plus hip rose buds, 15mm roses and a cottage rose in the new taupe colour. The lace is also one of the new lines in stock. The lovely Paula from Which Craft UK has given me 6 Vintage Book & Box Templates to give away to my followers. Aren’t they fab? !